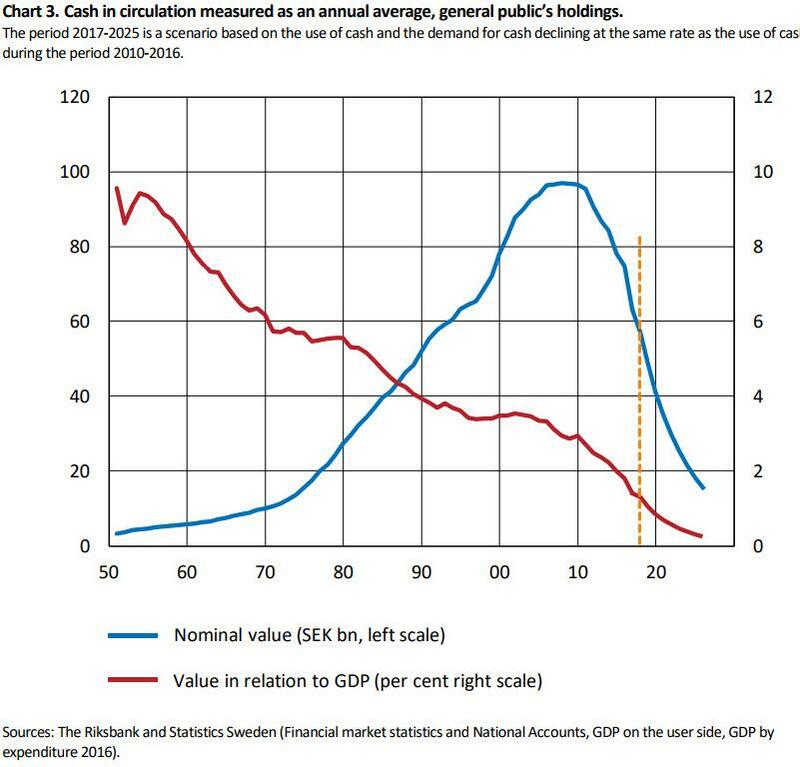 Sweden's 'Cash Rebellion' Warns "We Have No Weapon To Fight Back...If Putin Invades"
"If this development with cash disappearing happens too fast, it can be difficult to maintain the infrastructure” for handling cash." But the pace at which cash is vanishing has authorities worried. “One may get into a negative spiral which can threaten the cash infrastructure,” Mats Dillen, the head of the parliamentary review, said. Riksbank Governor Stefan Ingves has said Sweden should consider forcing banks to provide cash to customers. And now, as The Guardian reports, a small but growing number of Swedes anxious about their country’s rush to embrace a cash-free society. ...but there are signs this might be changing. Following discussions by the country's central bank, concerns about a cash-free society have emerged into the mainstream, says Björn Eriksson, 72, a former national police commissioner and the leader of a group called the Cash Rebellion, or Kontantupproret. As The Guardian reports, until now, Kontantupproret has been dismissed as the voice of the elderly and the technologically backward, Eriksson says. In this sense, Sweden is far from its famous concept of lagom – “just the right amount” – but instead is “100% extreme”, Eriksson says, by investing so much faith in the banks. The best case scenario is that we are not as secure as we think, Mattias Skarec, 29, a digital security consultant, says – the worst is that IT infrastructure is systemically vulnerable. The Pirate Party – which made its name in Sweden for its opposition to state and private sector surveillance – welcomes a higher political profile for these issues, according to The Guardian. Look at Ireland, Christian Engström says, where abortion is illegal. It is much easier for authorities to identify Irish women who have had an abortion if the state can track all digital financial transactions, he says. And while Sweden’s government might be relatively benign, a quick look at Europe suggests there is no guarantee how things might develop in the future. In 1660, Sweden’s Riksbank was the first central bank in the world to issue paper currency. In 2016, Sweden began to accelerate its transition from cash to digital currency. “We need to do the homework because it’s not an option for the public sector to stay on the sidelines and see the private sector cut off access to central bank money for individuals." A year later, in 2017, cash in circulation was plummeting and establishment economists celebrated the battle in the war on cash. Additionally, Riksbank was actively looking toward cryptocurrencies as potential government-backed money. "If this development with cash disappearing happens too fast, it can be difficult to maintain the infrastructure” for handling cash. 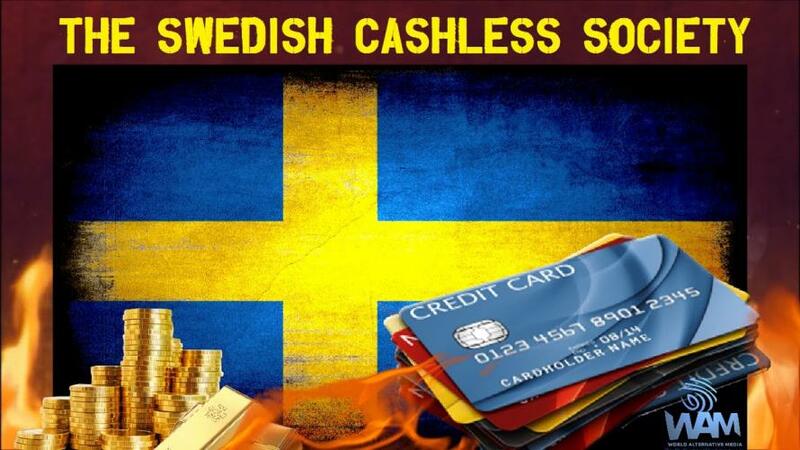 As Bloomberg reports, Sweden is widely regarded as the most cashless society on the planet. Most of the country’s bank branches have stopped handling cash; many shops, museums and restaurants now only accept plastic or mobile payments. But there’s a downside, since many people, in particular the elderly, don’t have access to the digital society. And now, in April 2018, the people are growing concerned at the loss of control and vulnerability to cyber-attack... forcing a return to 'paper'. An opinion poll this month revealed unease among Swedes, with almost seven out of 10 saying they wanted to keep the option to use cash, while just 25% wanted a completely cashless society. But then again, when did the will or the views of the public count for anything? If you have any misguided notion that a cashless society is not coming, just keep telling yourself that every time you use a debit card, credit card or your phone for your next purchase. With the elimination of cash we effectively hand over our individual human sovereignty to the banks and the government.